Best API integration and software for India’s Startups, retailer, and distributers. Crowdfinch’s Bus ticket booking API integration service provides complete resolutions for booking and cancelation of bus all over the India. Crowdfinch allows you to start your own flight booking portal with all required facilities. We are the best flight booking API provider in Rajasthan. Hotel booking process is very composite and long. With a various type of rooms and services options in every destination, each offers various services. Join Crowdfich for complete travel booking solution with Flight booking, Bus booking, and Hotel booking. We integrate API to your travel booking portal. You can use our single or multiple API as per your business module or suitability. 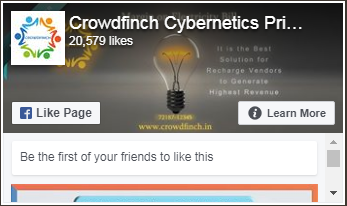 Crowdfinch have developed and designed many travel and recharge portal with various API integrations. If you are running a travel company, Crowdfinch’s API solution and software development will boosts your business online. You distribution partners can use your service online with our API integration. Your external partners can book all of your services without any errors and bugs. So, don’t be late. Just contact Crowdfinch’s team or use our call back facility. 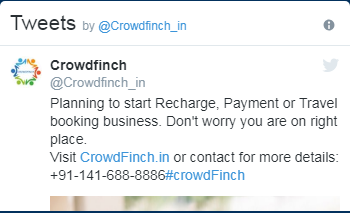 Crowdfinch’s recharge, booking, and payment services give you better opportunity to serve your customer a best service and experience. Keep your trust with us we believe in quality service. Our well-experienced staff made us Rajasthan’s best API service provider. Our services are not limited to API & website code boundaries our back up support is always with our clients. Our special services like web development, domain registration and hosting services always open for our clients. With our API and software, you will get complete control over all the activities. As per the requirements of clients customized website and software facility also provided. Our all products are bug and error free. © 2019 Crowdfinch Cybernetics Private Limited. All rights reserved.